Find Elizabeth, CO Homes for sale. View Photos, Maps and MLS Data Now! Too much to list, a truly one-of-a-kind property that is a must see. MLS#9107897. RE/MAX ACCORD. Spring Valley Ranch - Seeded Back Yard, NEW CARPET UPSTAIRS 4/19 MLS#4680018. KELLER WILLIAMS AVENUES REALTY. Elizabeth In The Pines - Fully finished walk-out basement with wet bar & 30 day old sauna (included w/FPO). MLS#2038496. Redefy. Don't miss out on the opportunity to make this fantastic house you're home! MLS#6825874. Keller Williams Executives. Bluebird Estates - 200 yards off the paved road to the property. MLS#7952914. The Group - Real Estate Advisors. Ponderosa Park Estates - Unwind on the serene patio to watch incredible sunsets, gorgeous mountain views and enjoy the abundant wildlife. MLS#4150092. NEW & COMPANY. Bow Meadows - No HOA, water or sewer to pay. 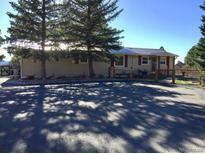 MLS#2088508. Equity Colorado. Sun Country Meadows - There is Too much to list and a MUST SEE! ! MLS#3885877. Brokers Guild Classic. Elizabeth Settlement - Imagine the possible uses with this unique property. MLS#8705720. RE/MAX PROFESSIONALS. 40'X80' Steel Frame Barn/ Workshop. Enercept Insulated Building System. MLS#8260205. RE/MAX Alliance. Spring Valley Ranch - Cul-de-Sac* This is a Special Home to Show!!! ! 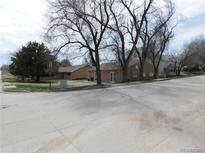 MLS#4145741. RE/MAX Masters Millennium. Sable Ridge - If you are looking for an amazing country property, this home can't be beat! MLS#6414191. Coldwell Banker Residential 44. Overland Estates - This is a must see home. MLS#3428081. Keller Williams DTC. New siding and paint in 2018. MLS#4172245. The Group - Real Estate Advisors. Wild Pointe - South facing, heated, over-sized 4 car garage with epoxy floor & paved parking. Zoned for Horses! MLS#6299339. RE/MAX Professionals. All 4 spacious bedrooms are upstairs and the master has an en-suite bathroom. Come see this home today! MLS#9752287. Douglas County Real Estate LLC.